What is the cheapest way to get from Chernivtsi to Kamianets-Podilskyi? The cheapest way to get from Chernivtsi to Kamianets-Podilskyi is to bus which costs 70 ₴ - 85 ₴ and takes 1h 55m. What is the fastest way to get from Chernivtsi to Kamianets-Podilskyi? The quickest way to get from Chernivtsi to Kamianets-Podilskyi is to taxi which costs 950 ₴ - 1 200 ₴ and takes 1h 22m. Is there a direct bus between Chernivtsi and Kamianets-Podilskyi? Yes, there is a direct bus departing from Chernivtsi and arriving at Kamyanets-Podilskyi. Services depart every 30 minutes, and operate every day. The journey takes approximately 1h 55m. 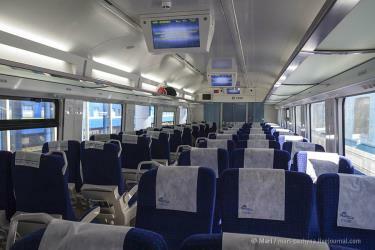 Is there a direct train between Chernivtsi and Kamianets-Podilskyi? 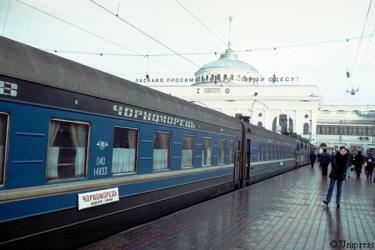 Yes, there is an overnight train departing from Chernovcy and arriving at Kamenecs-Podolskij. This train operates every day. The journey takes approximately 3h 49m. How far is it from Chernivtsi to Kamianets-Podilskyi? The distance between Chernivtsi and Kamianets-Podilskyi is 65 km. The road distance is 88 km. How do I travel from Chernivtsi to Kamianets-Podilskyi without a car? The best way to get from Chernivtsi to Kamianets-Podilskyi without a car is to bus which takes 1h 55m and costs 70 ₴ - 85 ₴. How long does it take to get from Chernivtsi to Kamianets-Podilskyi? The bus from Chernivtsi to Kamyanets-Podilskyi takes 1h 55m including transfers and departs every 30 minutes. Where do I catch the Chernivtsi to Kamianets-Podilskyi bus from? Chernivtsi to Kamianets-Podilskyi bus services, operated by Ukraine buses, depart from Chernivtsi station. Where do I catch the Chernivtsi to Kamianets-Podilskyi train from? 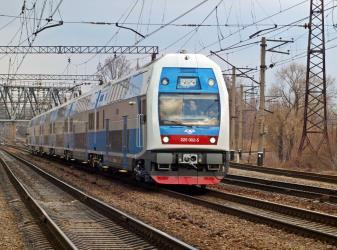 Chernivtsi to Kamianets-Podilskyi train services, operated by Ukrainian Railways (UZ), depart from Chernovcy station. Where does the Chernivtsi to Kamianets-Podilskyi bus arrive? Chernivtsi to Kamianets-Podilskyi bus services, operated by Ukraine buses, arrive at Kamyanets-Podilskyi station. What companies run services between Chernivtsi, Ukraine and Kamianets-Podilskyi, Ukraine? Ukraine buses operates a bus from Chernivtsi to Kamianets-Podilskyi every 30 minutes. Tickets cost 70 ₴ - 85 ₴ and the journey takes 1h 55m. Rome2rio's Travel Guide series provide vital information for the global traveller. Read our range of informative guides on popular transport routes and companies - including What documents do I need to cross Niagara Falls?, Which side of Niagara Falls should I choose (and how do I get there)? and Italy Travel Guides - to help you get the most out of your next trip. 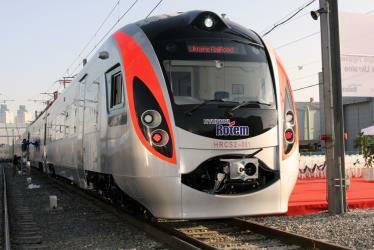 Where does the Chernivtsi to Kamianets-Podilskyi train arrive? Chernivtsi to Kamianets-Podilskyi train services, operated by Ukrainian Railways (UZ), arrive at Kamenecs-Podolskij station. Can I drive from Chernivtsi to Kamianets-Podilskyi? Yes, the driving distance between Chernivtsi to Kamianets-Podilskyi is 88 km. It takes approximately 1h 22m to drive from Chernivtsi to Kamianets-Podilskyi. Where can I stay near Kamianets-Podilskyi? There are 123+ hotels available in Kamianets-Podilskyi. Prices start at 420 ₴ per night. Kamianets-Podilskyi Castle (Ukrainian: Кам'янець-Подільська фортеця; Polish: twierdza w Kamieńcu Podolskim; Russian: Каменец-Подольская крепость; Turkish: Kamaniçe Kalesi) is a former Ruthenian-Lithuanian castle and a later three-part Polish fortress located in the historic city of Kamianets-Podilskyi, Ukraine, in the historic region of Podolia in the western part of the country. Its name is attributed to the root word kamin', from the Slavic word for stone. The Khotyn Fortress (Ukrainian: Хотинська фортеця, Polish: twierdza w Chocimiu, Turkish: Hotin Kalesi, Romanian: Cetatea Hotinului) is a fortification complex located on the right bank of the Dniester River in Khotyn, Chernivtsi Oblast (province) of western Ukraine. It is situated on a territory of the historical northern Bessarabia region which was split in 1940 between Ukraine and Moldova. The fortress is also located in a close proximity to another famous defensive structure, the Old Kam'yanets Castle of Kamianets-Podilskyi. National Nature Park "Podilski Tovtry" (Ukrainian: Націона́льний приро́дний парк «Поді́льські То́втри») is a national park, located in the Horodok, Kamianets-Podilskyi, and the Chemerivtsi Raions (districts) of Khmelnytskyi Oblast (province) in southern region of the western Ukraine. It is the biggest nature conservation area in Ukraine. The ruined Kudryntsi Castle (Ukrainian: Кудринецький замок, Kudrynets'kyi zamok, Polish: Zamek w Kudryńcach) is perched on a hilltop overlooking the Zbruch River in Borschiv Raion, Ternopil Oblast, Ukraine, 25 km west of a larger fortress in Kamianets-Podilskyi. It was built in the early 17th century by Jan Szczęsny Herburt and throughout the ensuing century was subjected to repeated sieges by the Cossacks and the Turks. By the 19th century, some portions of the walls had crumbled away, and the structure was abandoned to its fate. Rome2rio makes travelling from Chernivtsi to Kamianets-Podilskyi easy. Rome2rio is a door-to-door travel information and booking engine, helping you get to and from any location in the world. Find all the transport options for your trip from Chernivtsi to Kamianets-Podilskyi right here. Rome2rio displays up to date schedules, route maps, journey times and estimated fares from relevant transport operators, ensuring you can make an informed decision about which option will suit you best. Rome2rio also offers online bookings for selected operators, making reservations easy and straightforward.